We all know about the thrill that motorcycles have to offer. However, out of everything that needs protection, your noggin has to be the prime candidate. With a large selection out there, the Nexx XG100 Devon definitely stood out. Sporting a definitive retro style that has been augmented with modern day technologies, the XG100 Devon will definitely have you cruising around in style. 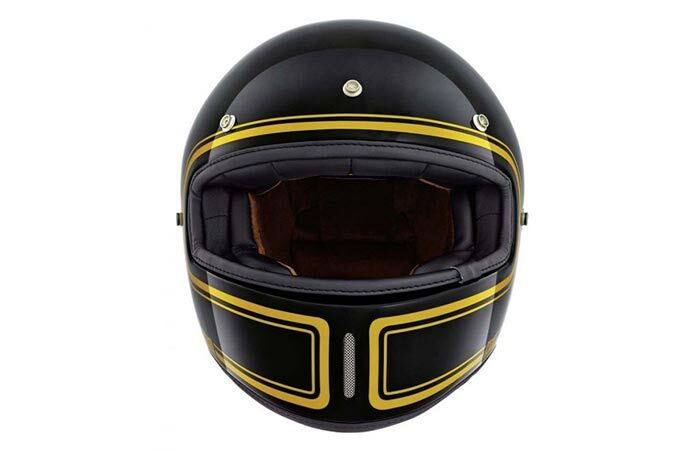 This helmet combines old school moto style with a superbly safe X-Matrix shell. This is one of the latest releases from Nexx, the hugely popular Portuguese company. The Devon helmet features a shell that is constructed from X-Matrix material. This means that it incorporates a blend of multiaxial fibers, 3D organic fiber, carbon reinforcement and special aramid fibers. 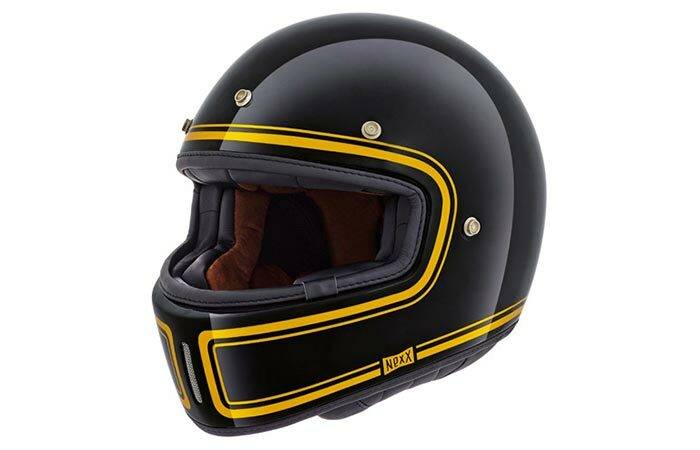 Essentially, this means that it is an exceptionally safe helmet that comes with ECE, DOT and NBR-7471:2001 safety certification. 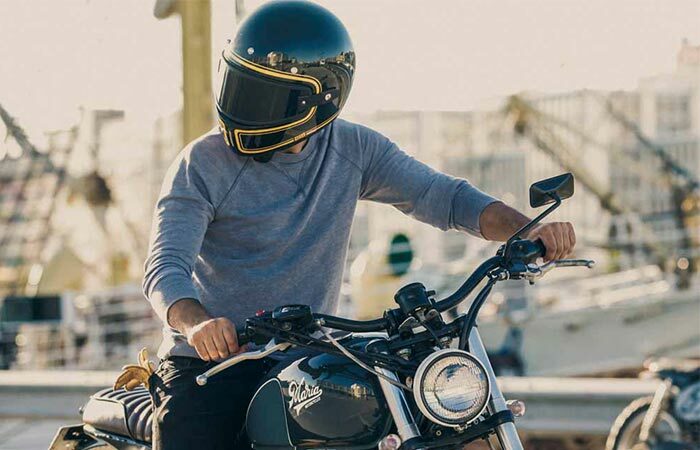 Apart from all the safety features, this helmet also features a removable and washable inner. The liner itself is constructed out of X.Mart Dry fabric liner which ensures that you have the optimal riding comfort. This fabric is also anti-sweat and anti-allergenic. As can be seen in the image, both the peak and visor are removable, dependent only on your needs. Another interesting aspect of this helmet is that Nexx has thrown in an old school 3-snap peak visor and removable PC Lexan Shield. This allows you to own that retro moto style. Furthermore, this helmet features a Double-D ring buckle, a 60% smoked visor, chin ventilation and an Ergo padding system. It’s also pretty lightweight at only 2.64 pounds. However, we all know that the retro old school style can’t be beat when it’s mixed with modern comfort and safety technologies. Nothing beats old school retro style.